2000 New York Metropolitan Archivists Roundtable Prize for "the most innovative application of archives to the Internet." April 2005 The Lost Museum was the recipient of an Honorable Mention Award for excellence in interactive media production in the Horizon Interactive Awards competition. April 2005 The Lost Museum won the Platinum Award for Interactive-Educational New Media at the 38th annual WorldFest Film Festival. Worldfest, one of the oldest competitive international media Festivals, was held in Houston, Texas. In 2005 The Lost Museum was a recipient of the National Endowment for the Humanities EDSITEment Citation. In 2006 The Lost Museum received the Center for Digital Education Digital Education Achievement Award. 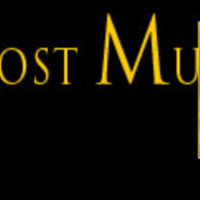 “The Lost Museum,” RRCHNM20, accessed April 21, 2019, http://20.rrchnm.org/items/show/258.